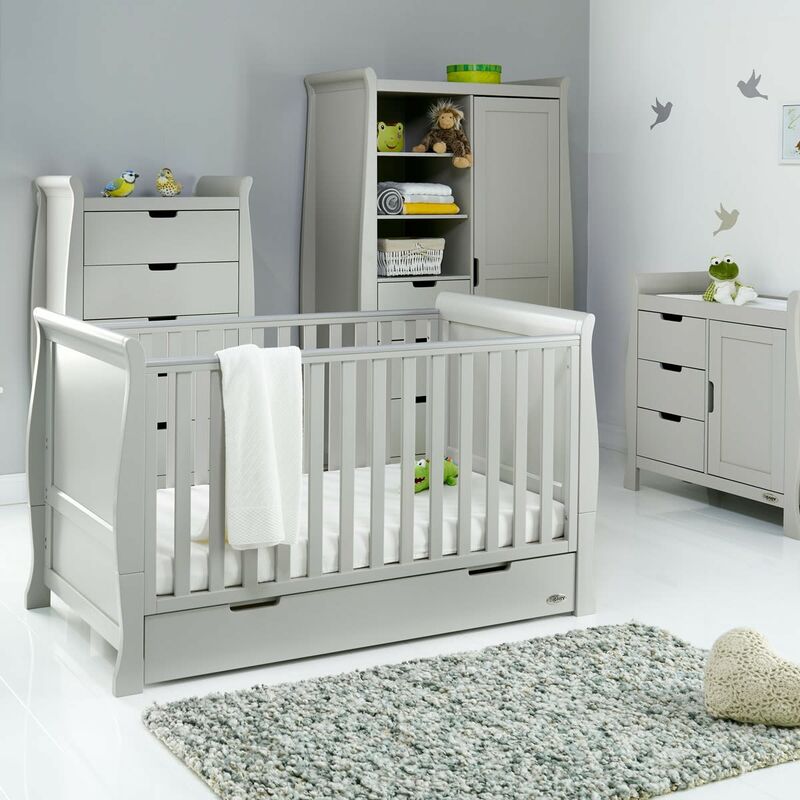 The OBaby Stamford Classic Seven Piece Room Set offers the perfect blend of quality, style and reliability. 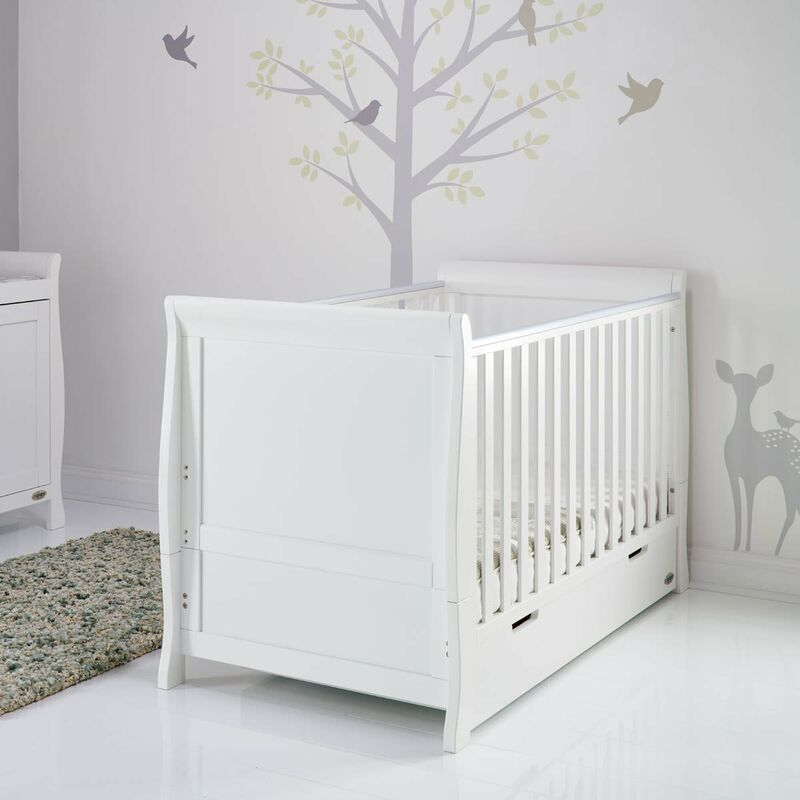 This set includes everything that you will need to make the perfect nursery. It comprises of a cot that is cleverly designed to grow with your child and turns into a junior bed, the set also features a changing unit, a tall chest of drawers, a glider chair, matching stool, toy box, wall shelf and a wardrobe. The range has a timeless feel and it’s elegant scroll design offers a contemporary finishing touch to each piece. 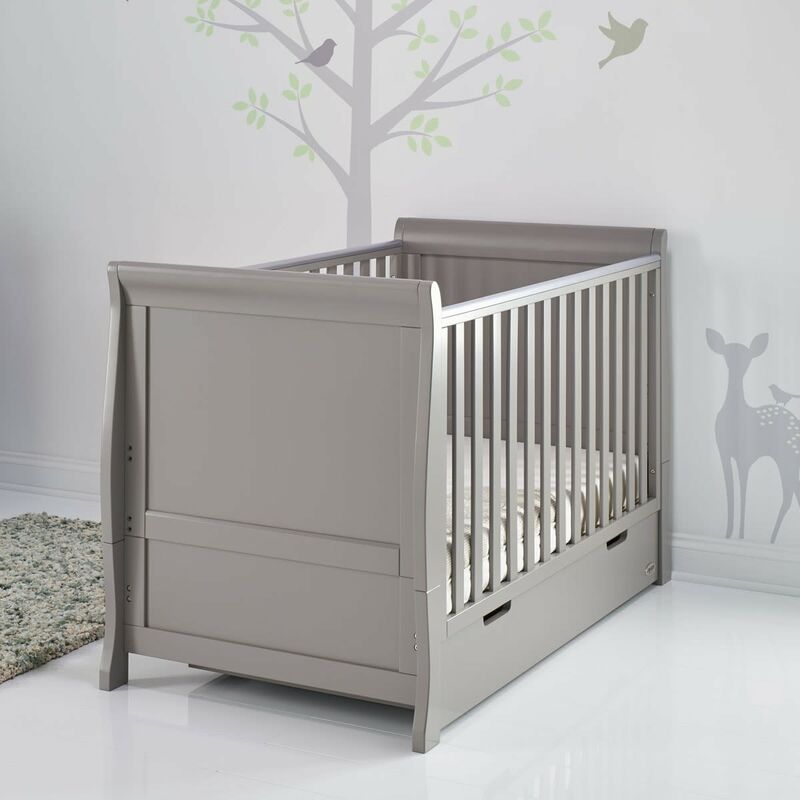 Carefully crafted from solid New Zealand pine, the collection is available in a choice of white, warm grey and taupe grey to compliment any colour nursery scheme. 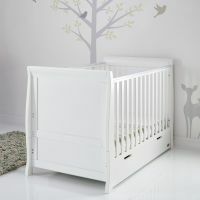 The perfect centrepiece for any nursery, the Stamford cot has slatted end panels and an elegant carved scroll design. 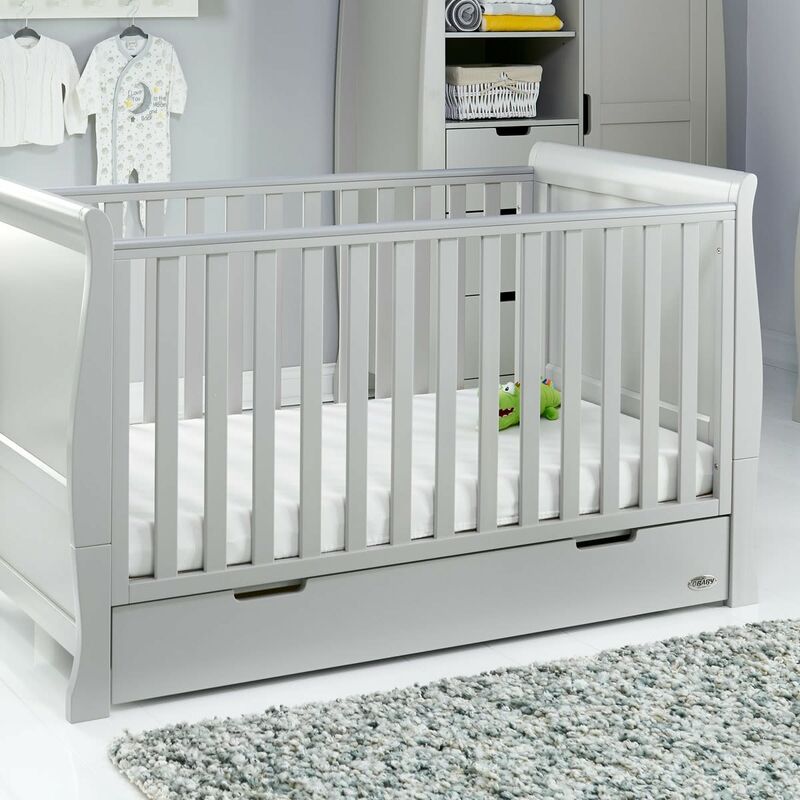 Ideal for a newborn, the cot is designed to grow with your child and transform into a junior bed once your child is old enough (the side are simply removed and the ends split down). 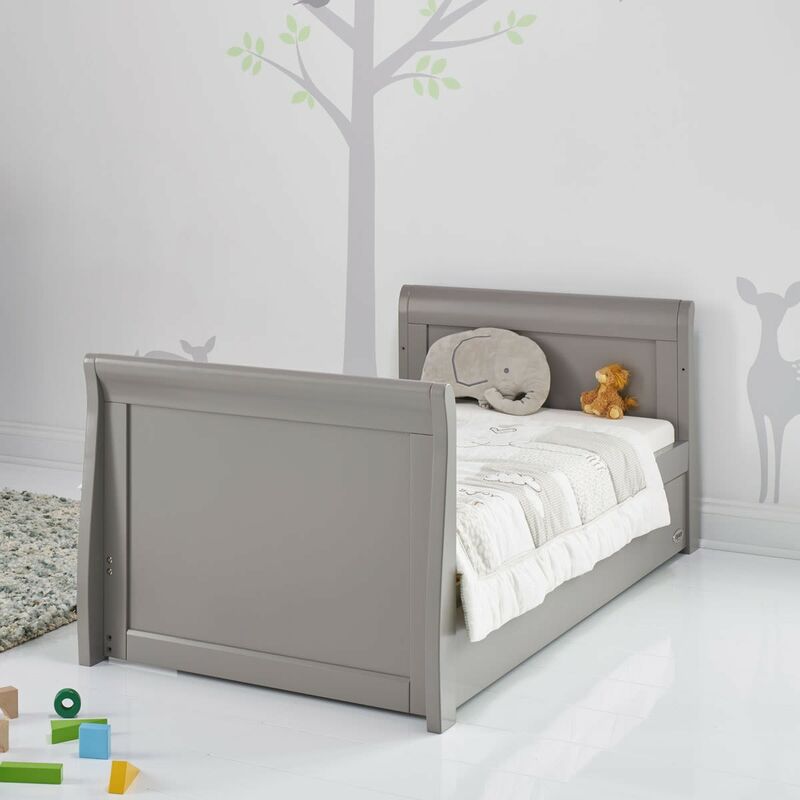 The cot bed also features a teething rail and a drawer which fits neatly underneath and provides valuable extra storage space. 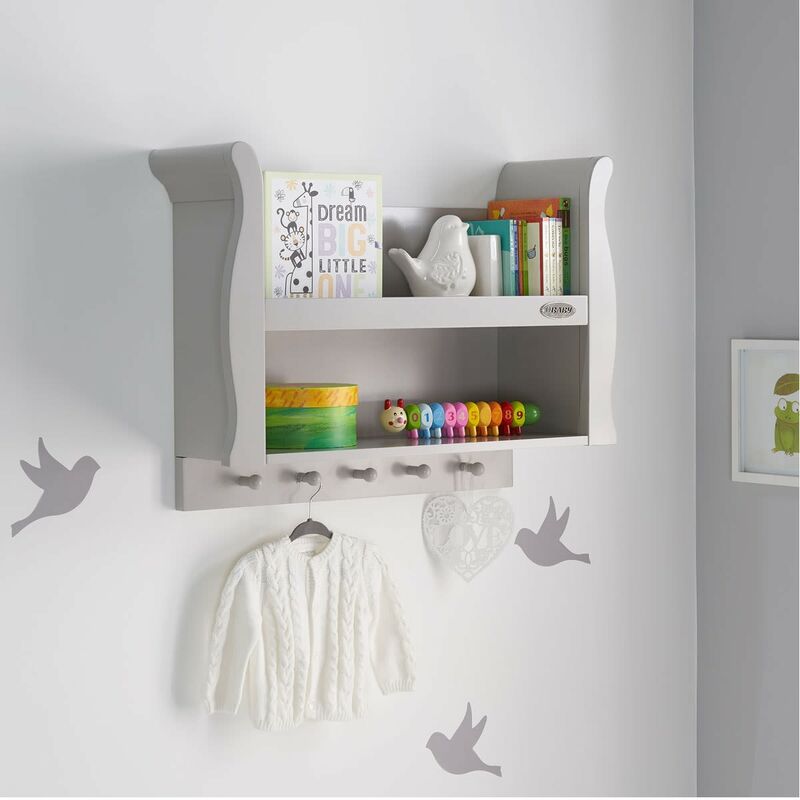 For extra storage, this set includes a tall chest of drawers with five large storage drawers, each with a stylish recessed handle. 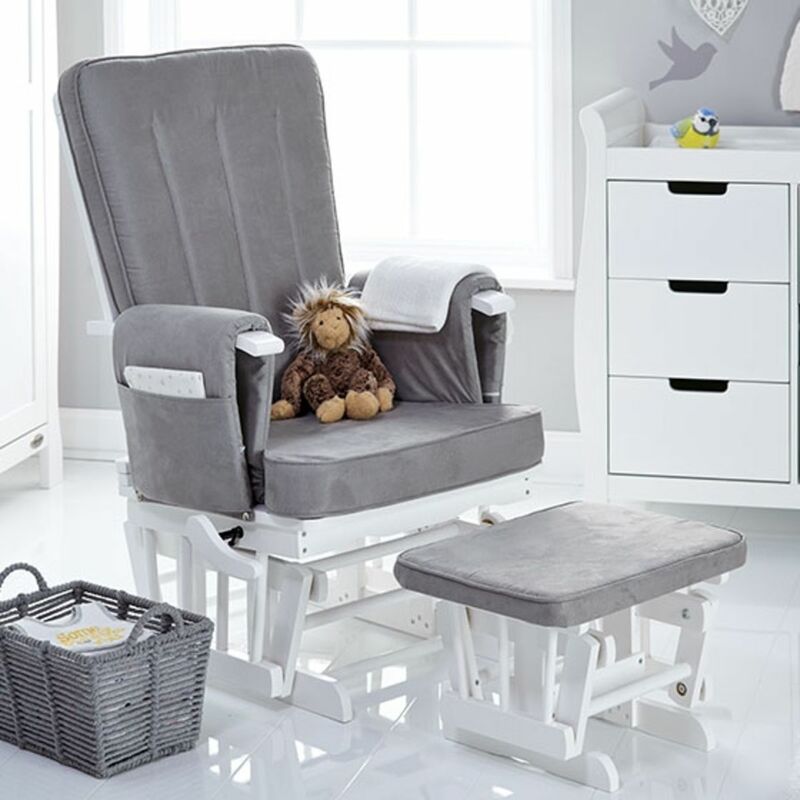 The glider chair and matching stool are the perfect place to feed your baby, read a story or just relax. 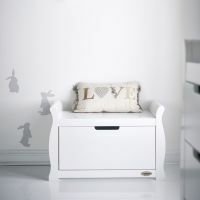 Providing the utmost in comfort with extra thick cushions, the chair has a gentle gliding motion which is matched by the stool. 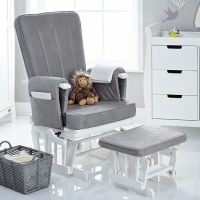 The chair has a six position recline and static lock handle, plus handy storage pockets on each arm. 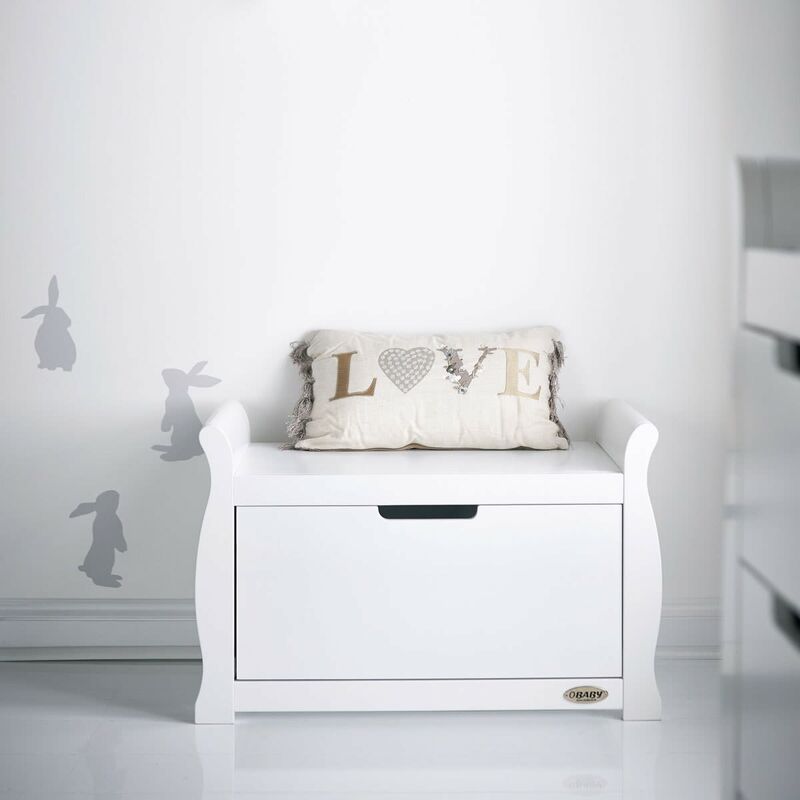 Every nursery needs a toy box and the Stamford model is practically designed as a large single drawer on sturdy metal runners. The solid flat top offers extra display space too. 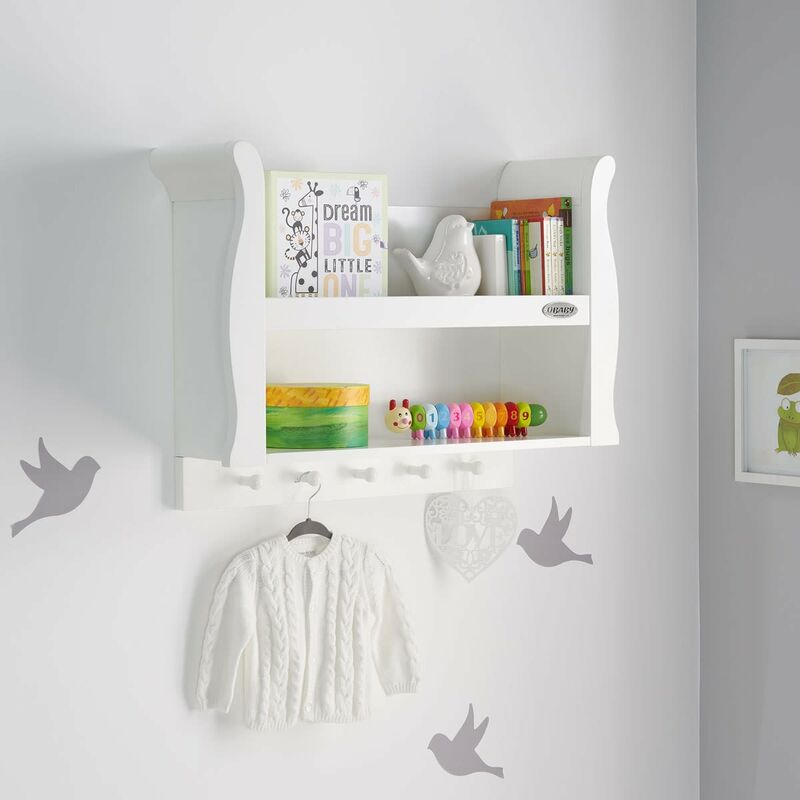 The shelf in the set has two storage spaces which are perfect for books and five pegs for additional hanging space. 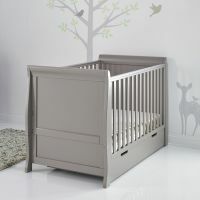 To complete the nursery, the set includes a wardrobe. On the right hand side is a full height cupboard section with two hanging rails inside and has a soft close door. 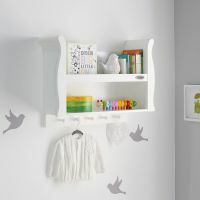 On the left, the wardrobe has three drawers at the base and three adjustable shelves above. 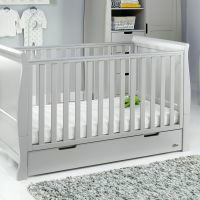 The OBaby Stamford Classic Seven Piece Room Set requires assembly and is delivered within two weeks. 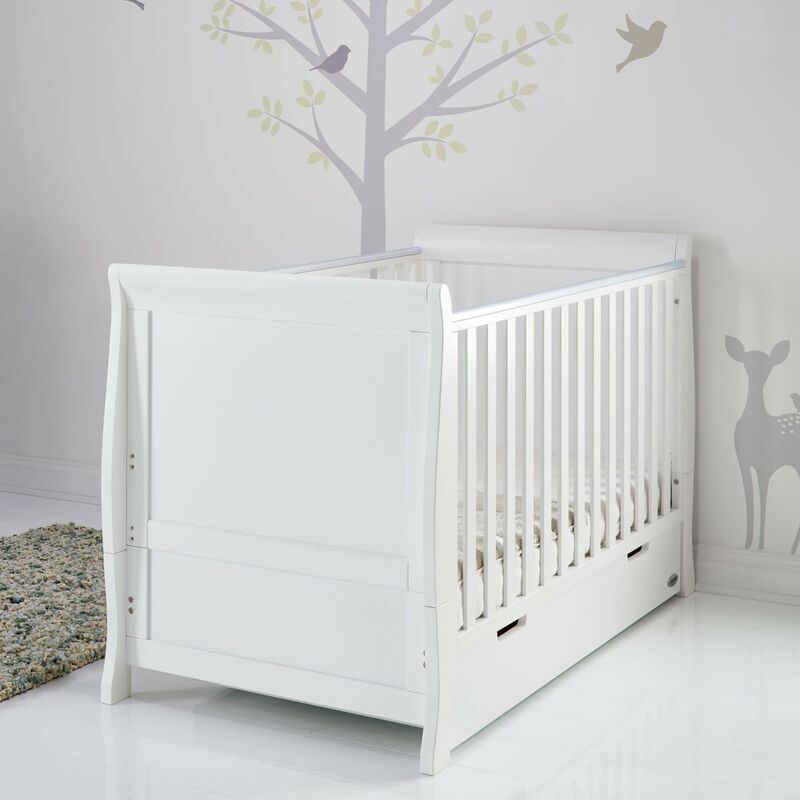 OBaby offer a free 5 year guarantee when you register your purchase with them within 28 days. 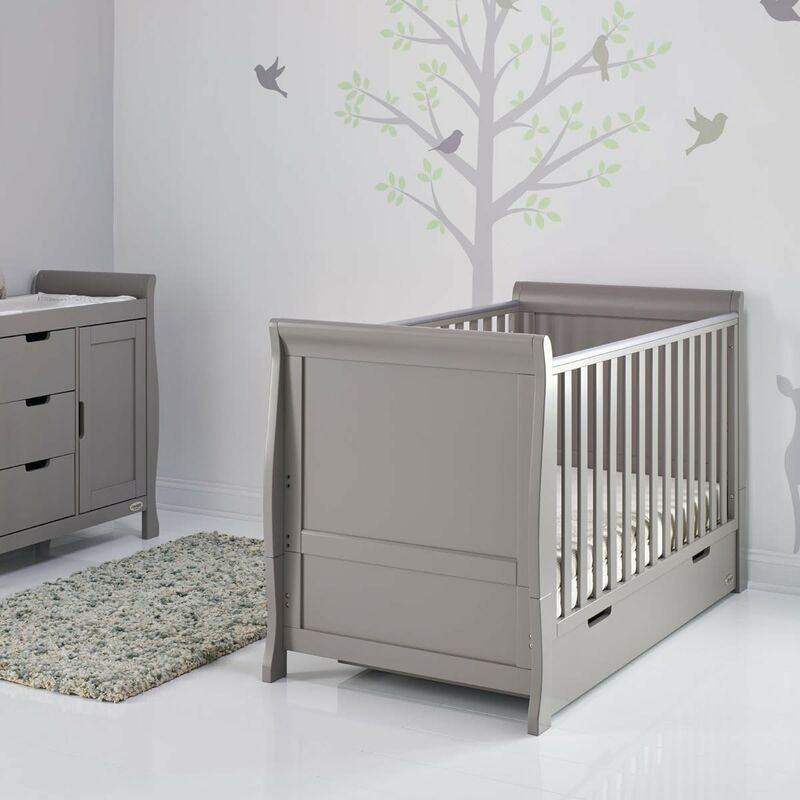 If you’re looking for a smaller nursery set, the Obaby Stamford ranges comes in five piece room set.